So, we’re still in the season of Lent. It’s a season of reflection as I wrote about before, but it’s also about repentance- about calling to mind sins and patterns of selfishness, saying sorry, and amending what wrongs we can. I’ve been taking some time out to journal and reflect and pray during this season, and one of the many things I’ve realized is that I say sorry for a lot of things I shouldn’t need to and I don’t say sorry for a lot of things I ought to. That’s because I AM sorry for a lot of things I shouldn’t be, for ridiculous guilt I carry around while I am often complacent or remiss in noticing the things I should be sorry for.. This is by no means a revolutionary idea. 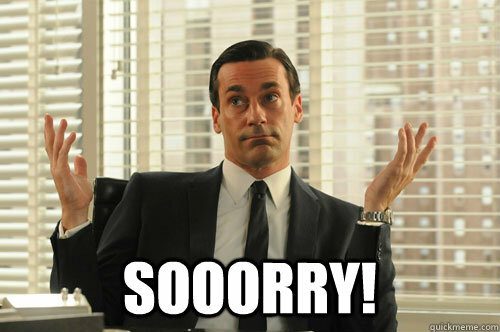 There have been several articles and a whole ad campaign on the specific phenomenon of women apologizing like crazy and how we are ingrained the idea that we should take the blame for things. I am definitely caught in this pattern. I went to a great session of my church’s MOMS group last week. The topic was Lent and it left me with a lot to think about. Yesterday was Ash Wednesday, the first day of Lent. 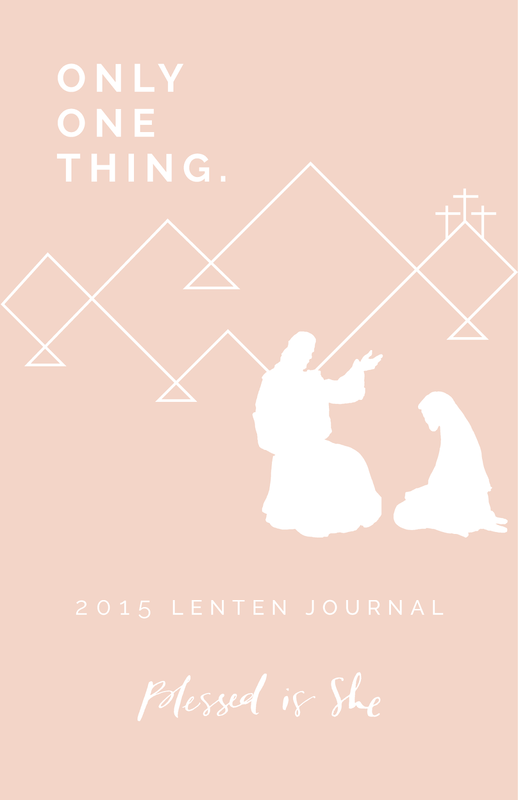 Lent is, perhaps surprisingly, my favorite part of the liturgical year. It has been a time to reflect and pray and make major changes in my daily and spiritual life. I usually go into Lent having a pretty clear idea of what I need to work on the most to draw closer to God, but I was extra appreciative of my church group last week because this year I am at a loss. Since becoming a parent, so much has seemed to change and get thrown up in the air. I can feel on top of the world one day and at a total loss the next. The shenanigans questions of “balance” and “having it all” are constantly nagging at my head. I’m a multi-tasker by nature and suddenly I feel like I need to get all that multitasking I used to do done AND take care of my child AND contribute to start saving up for the next big life event. Everything is very full speed ahead and it has left me with very little time or mental space to really sit and contemplate what I need most in my spiritual life. So I’m going to prayerfully work my way through this journal which gives you one word a day to focus on with the day’s readings. The focus of my Lent this year is scary for me because it seems the things I’m supposed to abstain from are over-commitment and guilt. It would be much easier to keep track of giving up chocolate or hot sauce. It’s scary because the world won’t necessarily see or understand these sacrifices as they would with a good natured teasing session when people aren’t eating hamburgers on Fridays. It is scary because odds are good I will fail multiple times over these 40 days, and I REALLY like to succeed. I like being the straight A student. I like being able to check something off my to-do list and those things need to be easily measured. I like having visible, outward indications of my achievements. I am such a Martha. I am excited and nervous for what this season will bring. Lent is a beautiful time of reflection and sacrifice and change. I wrote in some comments earlier that perhaps the surprise “B” in my year of Bs is Bravery. It takes a lot of bravery to let go of the plans you have, to be uncertain about what is next, and to trust that God will take care of it and will love you as much through your failures as your successes.